Lovely, a little bit of the best club competition in the world this week as the Champions League returns & we've got previews of Tuesday's two games plus a fancy over two legs for the Real Madrid vs Manchester United tie. Celtic have already done magnificently well to qualify from their group containing European masters Barcelona & they now take on another heavyweight in Juventus. Neil Lennon's men have managed to get fired up for their Champions League games so far (they're by far & away the only big games they face nowadays thanks to Rangers demotion) & they were unbeaten at home in their group including when holding Barcelona to a nil-nil draw & they're unlikely to opt for an expansive approach here. 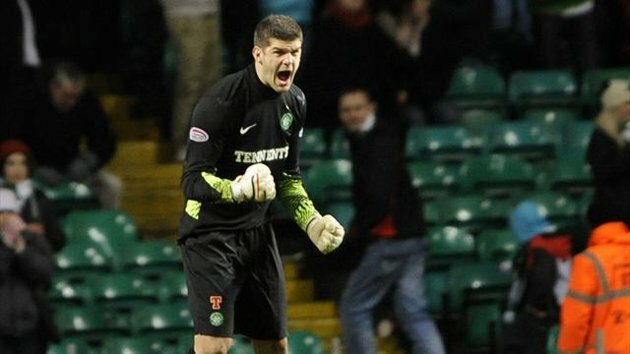 Fraser Forster, their giant young English goalkeeper, has been in top form this season & he'll be protected by a decent defence including the outstanding left back Emilio Izaguirre. That solid base means Celtic are comfortable with teams coming on to them & they'll have to be as Juventus will have a lot of the ball thanks to Andrea Pirlo pulling the strings. Juve also have ex-Man United youngster Paul Pogba establishing himself as a player of real talent & potential & he'll provide the battling qualities they'll need here. Juventus however don't have a striker on their books who can strike fear into opposition defences like other top clubs in Europe do, with no one player having scored more than 10 this season & they've recently signed veteran Nicolas Anelka but he's not made an appearance yet & he may not play here. We expect the Old Lady will come through over two legs but they are pragmatic & would not view a draw as a bad result as they'll have a lot of confidence that they can overpower the SPL side back in Turin, bearing in mind Celtic are very hard to beat at Celtic Park the 11/4 on offer about a draw is too big a price to miss. This has the potential to be an exciting tie with Valencia doing well in their qualifying group & having star striker Robert Soldado scoring freely this season whilst free-spending PSG have assembled a great attacking squad & have started to really leave their mark on their domestic league. Valencia, like so many other Spanish clubs, remain in a precarious financial situation & they changed managers at the beginning of December with ex-Rafa Benitez assistant Mauricio Pellegrino taking up the head coach reins for the first time in his career. They play some nice attacking football with the option to be quie direct with Robert Soldado an excellent focal point & also play some more intricate stuff through the likes of the Brazilian Jonas & the technically sound Tino Costa. That attacking play can though sometimes come at a cost defensively & they've shipped 35 goals in La Liga so far, twice conceding 5 in a single game this season. Full backs Cissokho & Pereira are better going forwards than at defending whilst there is not a settled first choice keeper at the moment with Alves & Vicente Guaita fighting over the number one shirt. PSG really are an interesting case, their lack of Champions League experience as a club should limit their potential according to established thinking yet they smashed their way through the group stage & have some incredibly exciting talents at the club (obviously not including David 'stunt signing' Beckham!). Zlatan Ibrahimovic is a fine footballer, & is now more appreciated here in the UK, & is ably supported in attack by Ezequiel Lavezzi who played so well for Napoli along with Edison Cavani last season. The player who most interests us though is the incredibly talented Brazilian youngster Lucas Moura who was bought before the start of the season but loaned straight back to Sao Paulo before joining up with the French club this January. Moura really is a unique talent as you'll see in the video above & this could be the game where he shows why he cost around 45 million euros. The French league have certainly given PSG every chance of success in this one by scheduling their Ligue 1 game last Friday, just a couple of days after the international friendlies but meaning they've had a lot of time to prepare for this game. PSG are strong favourites to win over two legs so to see odds of 2/1+ for them to win here looks a little on the big side when you consider their big 15 points haul in their qualifying group, put your trust in them to put on a show of attacking brilliance & put this to bed before the return match. In terms of man for man players Madrid would seemingly be able to play United off the park if reputations were all that mattered with the likes of Ronaldo, Ozil, Khedira, Alonso, Benzema, Higuain, Sergio Ramos, Modric & di Maria but it takes more than names & individuals to make a great team & Real are not quite that. There are some serious internal issues at Madrid with apparent divisions between the large Portugese contingent & the Spanish players with reports that Sergio Ramos & popular keeper Ilker Casillas had issued a warning to the club president that players would be looking to leave in the Summer if Mourinho wasn't removed. It's all led to Real being far off the pace in the league & although they can of course come up with ace performances (they should be able to with that list of talent) they have at times looked off the pace & sloppy & were just dreadful at Granada last week when losing 1-0 to a Ronaldo on goal. Madrid are without top keeper Casillas through injury for both games & that's a worry when backup Antonio Adan has only played for them 7 times & is coming up against a United strikeforce that have the highest chance conversion rate in the Premier League. United are all about the team & although they clearly have outstanding individuals they are arguably greater than the sum of their parts & Ferguson continues to prove he's a shrewd tactical manager - maybe something he doesn't get credited for as much as his other skills. 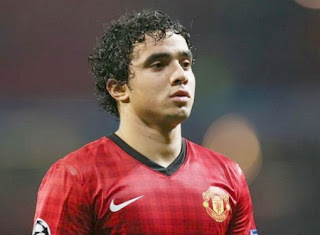 The key in this game is to stop Cristiano Ronaldo & don't be surprised to see someone do a man marking job but there's reason to believe he could have troubles anyway as Rafael is turning into a fine player, adding in the defensive skills & decision making to complement his tremendous attacking threat. Gary Neville giving him Sky Sports' man of the match award this Sunday was a nice touch & the ex-United right back will have done so with one eye on giving him added confidence for this game. With van Persie up front the Red Devils always pose a potent threat & Wayne Rooney & the emerging Shinji Kagawa can expose any chinks in the Madrid defence - they definitely exist. At the other end of the pitch Nemanja Vidic is getting back to full fitness & making a big difference in the heart of the defence whilst David de Gea is also improving, his shot stopping skills have never been in doubt & that could be decisive with Ronaldo's shoot on sight policy. You'll read & hear a lot about Real being a long way off Barcelona in the league & looking very unlikely to catch them so they'll be super pumped for this Champions League game but that's too much of trying to turn a negative into a positive - they're way behind because of their inconsistency & the fact they aren't as good as the sum of their parts. We've noted previously that United are on for an enormous points haul in the league & their play has been underestimated this season, with the 2nd leg of this tie at Old Trafford that's a significant advantage & we genuinely believe they should be odds on to qualify - they aren't so instead take great odds of 6/4 for Ferguson's men to go through to the quarter finals. You likely won't get another chance to back Robin van Persie to score 1st at odds as big as 7/1 all season so take them, he's United's far likeliest scorer as Rooney will drop off the front because his work rate further back is too useful in these big European games.